In the past doctors were concerned that exercise might be harmful to a growing baby due to several factors including overheating and dehydration, discouraging pregnant women from breaking a sweat. However, researchers have now proven that prenatal inactivity - no exercise – actually puts moms-to-be and their babies at risk. For low-risk pregnancies, prenatal exercise is absolutely safe as long as some individual factors are modified such as room temperature and regular water breaks. Inactivity during pregnancy can make you more susceptible to excessive weight gain, high blood pressure, gestational diabetes and greater odds of a C-section delivery. Therefore, there is plenty of incentive for pregnant women to exercise! Other benefits to exercise while pregnant include improved posture, reduced lower back pain and better mobility. The associated fitness and endurance improves blood circulation as well as preparing the body for an easier labour, delivery and post-partum recovery. Exercise helps control the expected weight gain and promotes a rapid return to pre-pregnancy weight. All these benefits contribute to decreasing the occurrence of depression with an improved sense of wellbeing and overall energy levels. Our pregnancy assessment is a scientifically based assessment designed for the expectant and new mother. All moms’ are screened and assessed by qualified Biokineticists, pre-and post-natal, to monitor progress. The initial assessment includes body fat percentage, pelvic stability and diastasis evaluation, cardiovascular fitness, muscular strength and endurance, as well as flexibility testing. Individual injury screening can also be done in this initial assessment and allows for specific goals to be incorporated into the exercise program. Our ante- and post-natal care includes one-on-one training and group classes using a wide range of therapeutic modalities including resistance training, aqua therapy, cardiovascular exercise and Pilate’s classes. 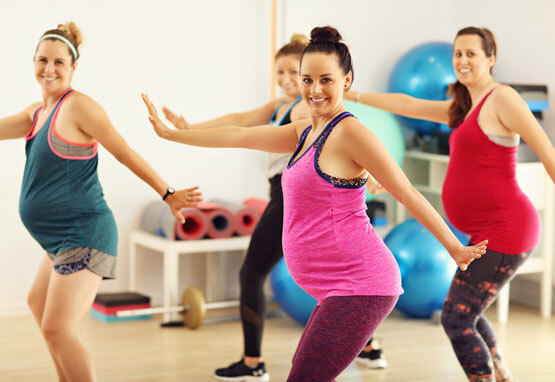 Ladies who are new to exercise, first time mom’s or slightly higher risk usually start with one-on-one exercise and progress to group classes at the discression of their biokineticist.